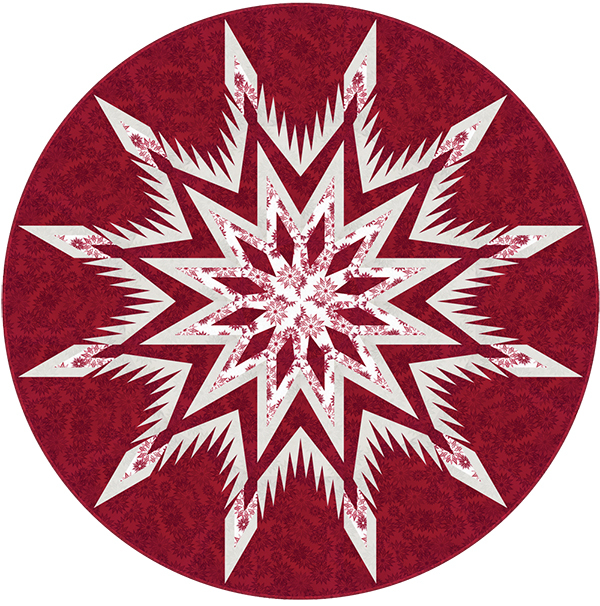 Dreamcatcher was created in 2016 as a Tree Skirt or Table Topper incorporating foundation paper piecing with four simple Group Elements. 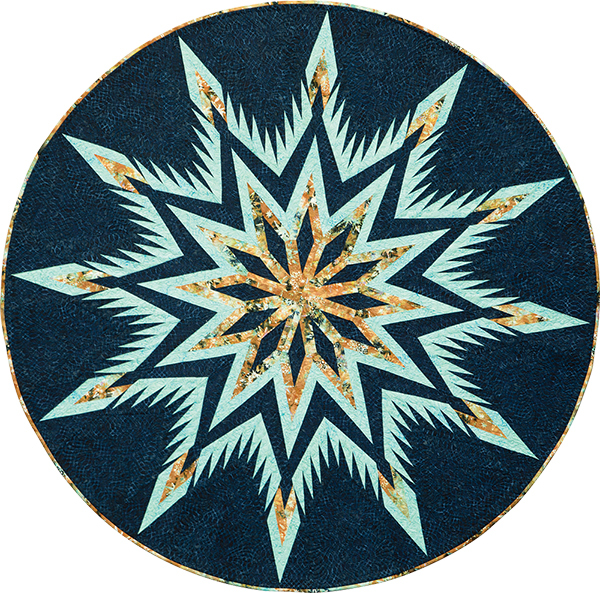 The color concept was derived using three fabrics from two different Batik collection designed by Judy and Judel Niemeyer, with Timeless Treasures, called Peacock & Copper. The pattern incorporates all of the latest techniques from Quiltworx and is assembled in a straightforward approach, breaking a kalidiscope into a (4) block layout. 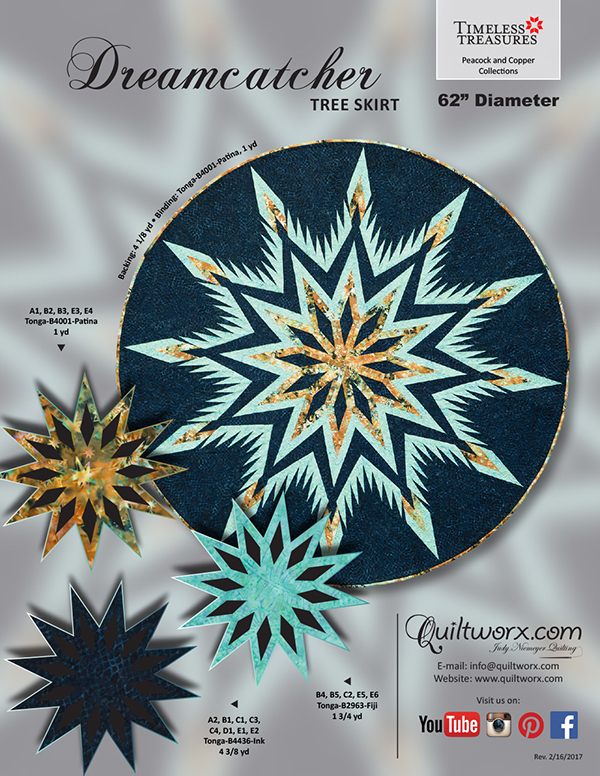 This pattern is the first pattern to be published in a series of quilts called the Willow Tree Skirt Mixers. 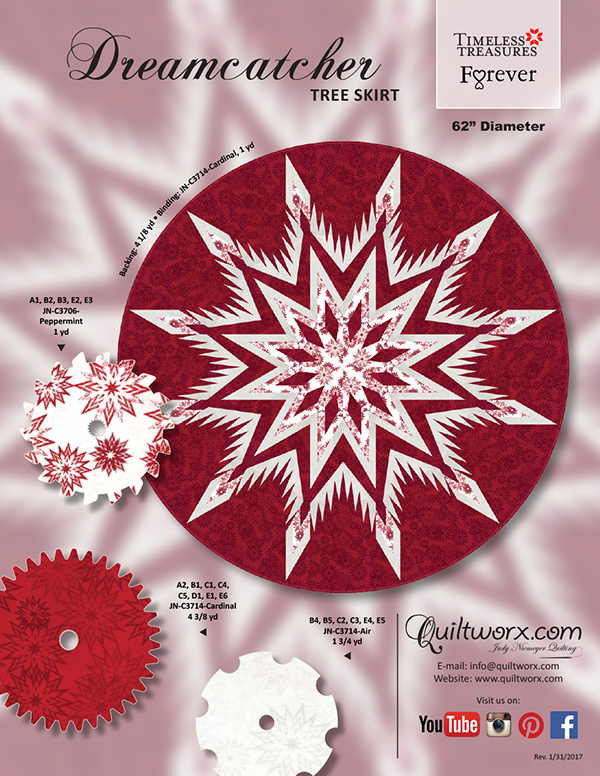 You can find this design in the Willow Tree Skirt Collection on Quiltster, which is a fabric and unit auditioning application that includes Quiltworx patterns. 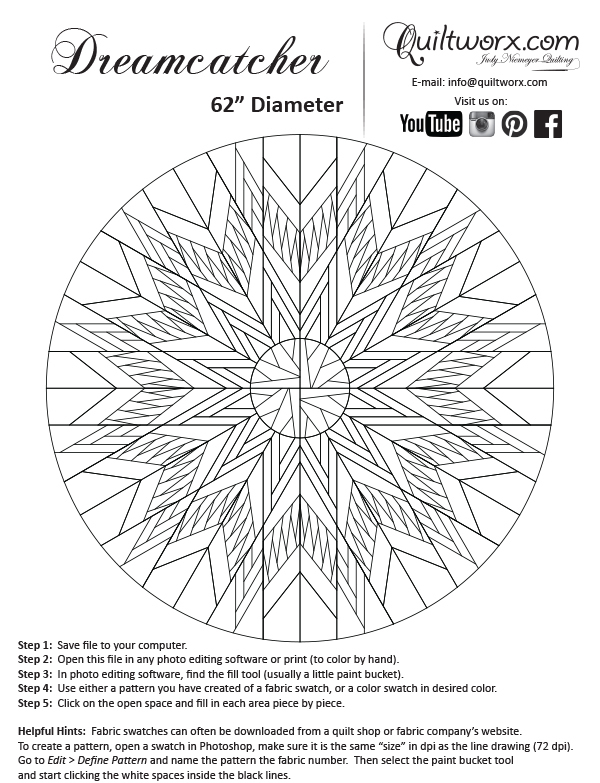 With Quiltster, you can open the Dreamcatcher template and audition other fabrics and new color layouts. 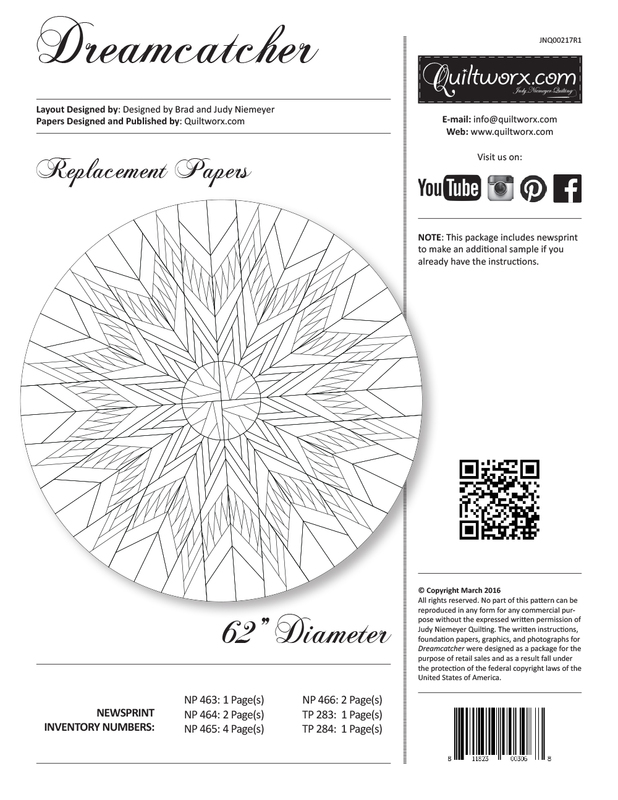 You can also open the mixer template and interchange the blocks in this layout with other used in additional Quiltworx patterns to create a new custom quilt design that is unique to you. 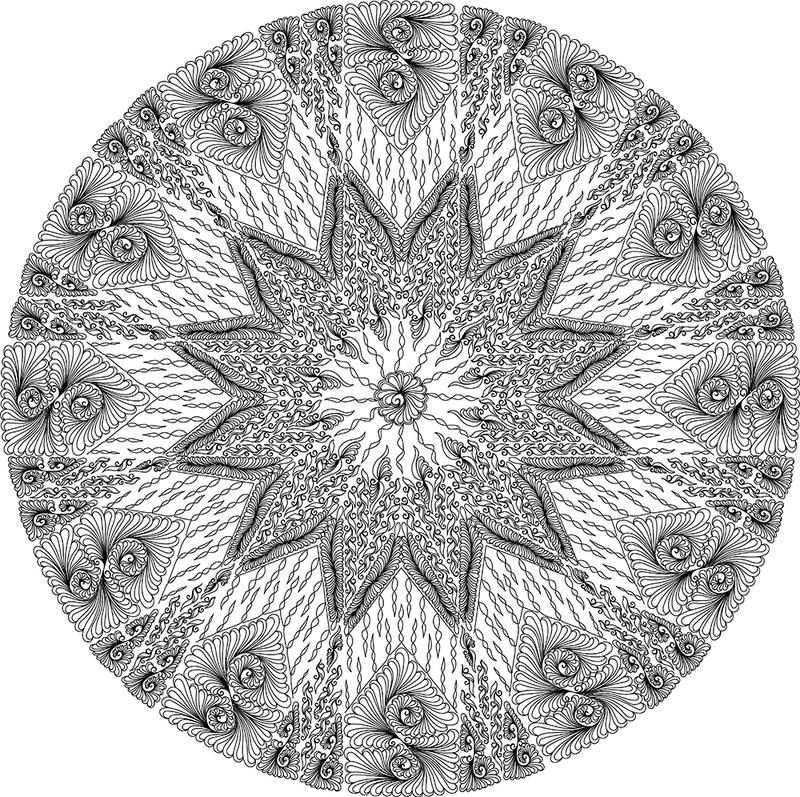 Stay tuned for other pattern to publish that will allow you to mix and match units! We can’t wait to see what you all come up with! Cindy Morton Ries Beautiful. I would love to take a class to learn to do this. Online classes not for me. Mary Lou Cameron Batty Wow!! Bettye Sheppard Love the colors. Denise Munger This is gorgeous !!!! Loretta Frilot How is Ted? Karen L Kingsley Julie Colloca Burger can we make it one? Sorry, there are no classes scheduled for Dreamcatcher at this time.